Levaquin Tendonosis or Pharmaceutical Plague? I've looked at your submission guidelines. I'm not sure I can write about my experience and remain both "in good taste" and non-defamatory about levaquin, its maker, a medical industry that remains in denial about the potentially disasterous over-reach in some of its scripts, and an FDA whose annual budget is 50% provisioned by the very pharmaceutical companies that seek the FDA's approval. For starters, I am perplexed why tendons figure so heavily in the FDA's "black box" warning? My experience and those of other levaquin-toxicity sufferers with whom I have spoken (or whose personal accounts I have read) suggest that Achilles tendonitis is the tip of the iceberg! Yes, I briefly experienced stiffness at the back of my leg calves and pain at my Achilles heals, but these side effects pale in comparison to lasting head-to-toe damage that I sustained from taking three doses of levaquin @500mg each. I suspect that patients by the tens of thousands find themselves so disabled psychologically they cannot establish causality between levaquin ingestion and its toxic side effects; or indeed if patients have figured-out the relationship their complaints are belittled or ignored by a medical industry complicit in a pharmaceutical scourge. Anyone who reads John Fratti's blogsite "Death By Levaquin" or David Fuller's research on www.frqresearch.com before it was shut down knows that medical consumers should treat fluoroquinolone antibiotics including levaquin and cipro as if they were deadly poisons. For doctors to prescribe willy-nilly their patients with levaquin is tantamount to allowing their children to play with a loaded firearm. Reports by those who retain sufficient presence of mind to record their travails with levaquin often paint a harrowing journey that begins with hopeful, but ignorant reliance upon their doctors and ends in disappointment or contempt re: the medical profession's indifference to their pharmaceutically-induced plight. Every few months the NEW YORK TIMES reports in its science section about the cozy relationship between medical researchists and pharmaceutical companies that pay for the researchists' studies and hire ghost-writers to write glowing reviews for placement within medical journals. of big pharma's vaunted profits would get soggy if a poison label were added to product inserts? The present warnings on levaquin package inserts are obfuscatory and deliberately vague. Wow, you read the guidelines! In answer to your question, I think the reason tendons and Achilles Tendonitis specifically get all the attention, is because that is A. the most commonly identified location/injury and B. the easiest to clearly identify. When pain is drastic and all over, without any easily/clearly identifiable injury, lesion, etc, doctors just aren't very equipped to deal with that. All over damage, from a source they don't want to admit is dangerous (drugs they prescribe), doesn't compute very well in the prevalent medical mindset. I'm with you on the Pharmaceutical Plague front. "First, Do No Harm" is ideally how doctors should treat their patients. Giving such a dangerous drug, and prescribing it when and how they do, SHOULD be criminal. 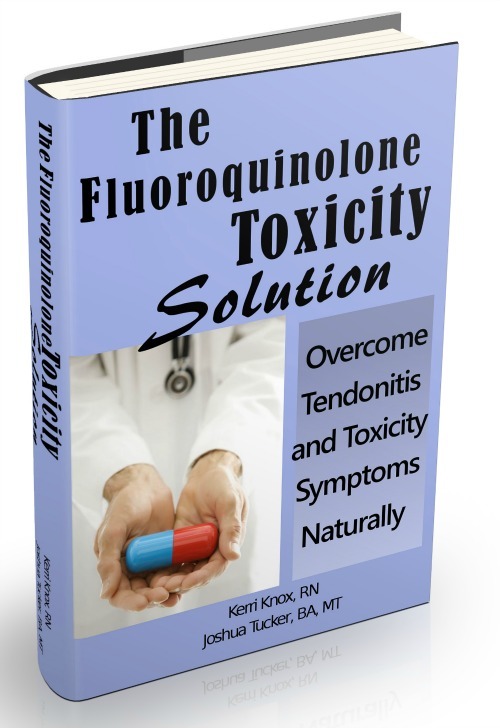 Right now, doctors' saving grace is that there is no test for fluoroquinolone damage, Levaquin or otherwise. So they can justify their ignorance and malpractice behind a claim of not being able to know for sure, the risk is worth the benefit, etc. Again, thanks for sharing. And I would be interested in the rest of your experience. The scope of this website is primarily Tendonitis and Tendonosis, which fluoroquinolones certainly play a role in. Still, people that have tendon pain may have other issues, or may discover other, more widespread damage issues, and if your story and experience can help them learn and understand, I and they would appreciate having your story available here. Comments for Levaquin Tendonosis or Pharmaceutical Plague? I am trying to find a doctor in the twin cities area to help me treat tendonitis after being treated with Levaquin. I have been unable to return to work since February and I have excrutiating pain in my joints, especially my achilles tendons, knees, hips, shoulder, elbows, etc. When I see doctors in the area I am being told that it can not possibly be from the Levaquin, but my body is showing high levels of inflammation but they think my body is wanting to just attack itself. now they are recommending chemo drugs. PLEASE if anyone knows of any doctors that have worked with this PLEASE SEND ME THE INFO ASAP!!!!!!!! Chemo drugs when they haven't even identified the cause? WOW. That is incredibly disturbing. Chemotherapy is a highly toxic drug, and they're going to just -try it out- on you to see what happens? Also, any doctor that tells you that Levaquin couldn't possibly be the cause of pain/problem is incompetent. The black label warning on the product clearly identifies that it can. And if they'd spend 5 minutes reasearching on the drug somewhere other than talking with the pharmaceutical rep, they'd know that Levaquin comes with cytotoxic side effects. I don't have any doctors to recommend, unfortunately. Hopefully someone on here will. In the meantime, or if you don't find a doctor that is competent enough to try to treat you, you may want to consider The Levaquin Tendonitis Solution ebook and the user forum that comes with it.